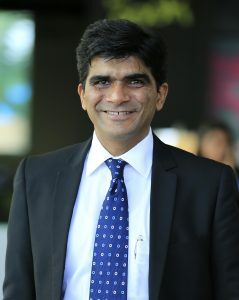 By: Rafiq Somani, Area Vice President, South Asia Pacific & Middle East, ANSYS Inc.
What the future holds for automotive powertrains may seem cloudy, but with all the innovations that is happening today, we can say that slowly, yet steadily, the cloud is moving away and we can certainly predict some interesting developments. Automakers are wary of divulging their upcoming strategies. However, with the kind of work that we have been involved in, we can definitely say that there will be transformative changes ahead that it will have a deep impact on the industry though the public may not realise it so much. Powertrain describes the main mechanisms that generate power and bring it to the road surface, water, or air. This traditionally included the engine, transmission, drive shafts, differentials, and the final drive, that is the drive wheels, propeller, and so on. Now the battery, the electric motor and the control algorithm also form the elements of the powertrain when it comes to hybrid powertrains. So powertrain broadly includes all of its components used to transform stored (chemical, solar, nuclear, kinetic, potential, etc) energy into kinetic energy for propulsion purposes. This therefore also includes the utilisation of multiple power sources and non–wheel-based vehicles. Today, automakers are getting set to expand their current engine offerings and are already applying electrical assistance to the configurations. Hybrid is soon going to be the ‘present’. When it comes to sports cars as well, electrical assistance will be featured to boost performance and lower emissions to meet strict new global targets.Undeniably, the emphasis is now on electrification. In today’s futuristic outlook, the focus is on alternative propulsion, mainly hybrids and EVs and their relevance to the emerging markets. Electrical energy needs to be provided, usually this leads to larger batteries. In hybrid powertrains the torque generated by the combustion engine and the electric motor have to be brought together and distributed to the wheels. The control of this process can be quite involved but the rewards are significantly improved acceleration and much lower emissions. India aims to become a 100% electric vehicle nation. There is a lot of stress on this. There are some major drivers for this objective. The first one is the significant reduction in the dependence on oil imports. The other driver is adhering to the Paris Climate deal and making India a “Green Nation”. These ambitious government regulations and strong customer demand for green vehicle technology such as higher-mileage vehicles, push car and truck makers to find and exploit every opportunity to make designs fuel efficient. Some of the challenges include the availability of power, the charging infrastructure (for EV’s) and also, last but not the least, the rising cost. In the Indian context, factors like “range” are less important. All systems are on the table for re-engineering — body, interior, chassis, electrical, and electronics and powertrain. In order to thrive, the tasks in front of auto makers are many. For example they must aim to reduce aerodynamic drag without sacrificing cooling and cabin quietness. Also, the vehicle weight must be reduced while still meeting strength and durability needs. The rolling resistance must be reduced in advanced ways. Apart from that the combustion efficiency of engines must be improved and effective exhaust after-treatment devices must be deployed. At ANSYS, our pervasive physics based simulation solutions help address all the challenges described above – from simulating virtual wind-tunnels that allow quick and high-resolution insights to aerodynamic behaviour thereby providing ideas to improve the design for fuel-efficiency, to coming up with the right composite structure to lightweight the design, to understanding the complex combustion behaviour inside the engine and allowing optimisation of several parameters affecting fuel economy, to allowing design of after treatment systems like 3-way catalytic converters and selective-catalytic-reduction (SCR) systems. Well before the passenger cars adopt electrification, it is going to be the public transport as well as 2-and 3-wheeler vehicles that are going to adopt it. What we need to do is convert existing platforms to produce EV’s (Electric Vehicle) and HEV’s (Hybrid Electric Vehicle), and reduce time-to-market as well as the cost. This is why the industry will have to look at engineering simulations as a viable alternative to physical testing. It is required to rely on modelling and simulation tools while designing an electrical platform from the very beginning of the V-cycle in order to drive the main choices and then to optimise the system. One can produce, simulate, repeat, verify and test drive one’s electric vehicle virtually without having to involve a single physical part or component. At ANSYS, we offer unique solutions that allow OEMs and Tier-1 and Tier-2 cities to develop and realise the electrification dream. Understanding and predicting the effects of chemistry in a system are key to developing competitive products in transportation, energy and materials processing applications. As designers of gas turbines, boilers and piston engines strive to meet low-emissions regulations with ever widening fuel flexibility requirements, they must not only uphold, but also advance, their system’s performance. In the same way, designing materials and chemical processes with high yield and quality must be done with marginalby product or waste. Depending on only testing for precise performance validation is exorbitant when one thinks of today’s complex designs and shortened design cycles. Effective simulation of the underlying detailed chemistry is often critical for cost-effective design of systems with reduced pollutant emissions or undesired byproducts. To help you gain key insights into kinetics dependencies, ANSYS Chemkin-Pro includes the Reaction Path Analyzer. Employing an interactive visual display, the Reaction Path Analyzer provides a clear view of dominant reaction paths, facilitating mechanism development and reduction. It accomplishes fast, accurate calculations of the extinction strain rate used to determine a system’s combustion stability. It helps gain better understanding of low emissions combustion stability.The innovative Particle Tracking feature follows particle nucleation, growth, aggregation and oxidation. Two separate tracking approaches enable you to predict the average particle size and number density, and give a detailed information on the particle size distribution, which can be used to predict soot emissions or to optimise particle production. This helps understand and predict particle formation. 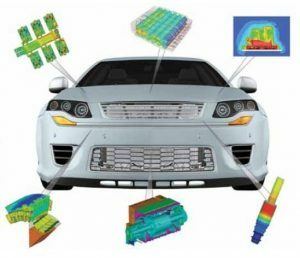 ANSYS’ enables you to better evaluate and optimise powertrains for fuel effects, efficiency, knocking and emissions. The chief components of Electric vehicle powertrain are the motor and gearbox. Though electric vehicles adhere to the noise levels set by noise regulation authority, even now the noise emitted from powertrain is annoying and creates discomfort. Electric Drivetrain noise is the third largest source of sound overall and largest internal source of sound in HEVs/EVs. In an ideal situation where the all mechanisms of a gearbox are rigid and the gear ratios are faultless with no misalignment among the gears, no noise would rise from the gearbox. However, in reality, gears, shafts and bearings are flexible, and manufacturing tolerances do leave misalignments. The purpose of a gearbox is to transmit power either with a step-up or a step-down in rotational speed. Simulation can step in here. It can aid in running a static analysis on a gear pair to evaluate its flexibility. The manual contact stiffness of such a gear-pair can be evaluated. Simulation can even model a trasient analysis with rigid gears and Manual contacts, and output the transmission error for a given input speed. 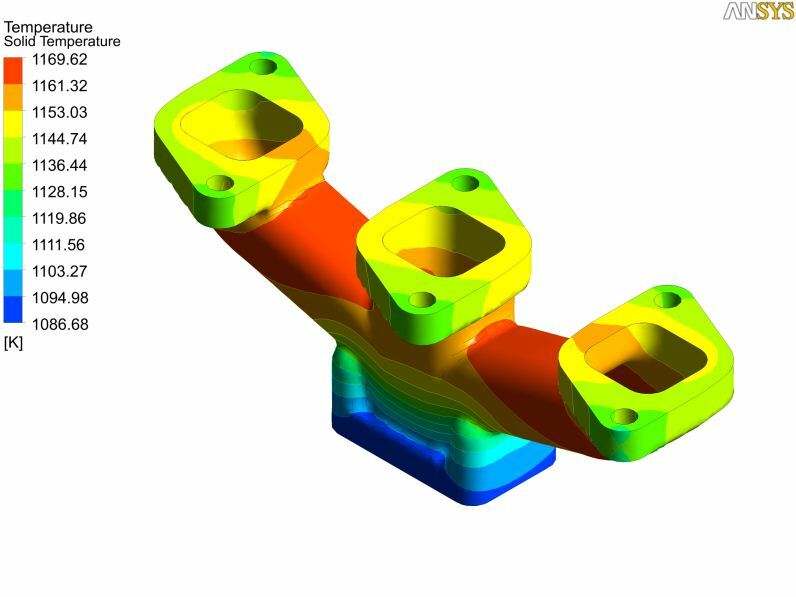 Multi-physics and design optimisation capabilities of ANSYS can predict the noise level of Powertrain (that is motor and gear-train) assembly, compare effect of coupling of gear-train with motor and optimize to control noise while keeping weight below specified limit. Today, every Original Equipment Manufacturer (OEM) is shifting to electric. The major drivers for electrification are increasing battery range, the changing customer preferences as well as reducing battery costs. Powertrain electrification will reshape the current mobility value chain, forcing consolidation and new partnerships as well as opening up new revenue and profit pools for existing and new players. The most recent developments in powertrain are driven by the electrification of it in multiple components. It is the next big revolution for the industry and it is already happening.